Whether Pastor Maldonado’s blatant early getaway at the Belgian Grand Prix caused the first corner pile-up that followed is unlikely, but the error cast another black mark against the Venezuelan’s up-and-down season. Maldonado topped the penalty charts in his debut season last year, and is well on his way to repeating the ‘feat’ in 2012 after picking up now fewer than three censures at Spa-Francorchamps. Having qualified third fastest, Maldonado was relegated three places for allegedly blocking Nico Rosberg during the session – a penalty apparently reduced by the stewards – but then picked up two five-place punishments in the space of a few laps after jumping the start and later colliding with Marussia’s Timo Glock on the restart. While the Williams team were happy with the Spanish Grand Prix winner’s early weekend performance, they made it clear that it was his fault that the FW34 took off before the lights had gone out. The Belgian weekend turned to frustration for Williams after that, as Bruno Senna’s grid position effectively prevented him from adding to his recent points haul, although the Brazilian did set the fastest lap of the race on his way to a twelfth place that could have been so much better but for a puncture suffered five laps from home. With the final European round of the season less than a week away in Italy, avoiding unnecessary damage was important for the team, and Gillan remains confident that both drivers can be in the mix for points at Monza. SPA-FRANCORCHAMPS: Lotus team chief Eric Boullier hopes his errant French driver Romain Grosjeanwill learn from his errors this season after being handed a one-race ban and a 50,000 Euros fine at Sunday’s Belgian Grand prix. Compatriot Boullier said he believed Grosjean’s punishment for triggering an opening lap pile-up that eliminated four cars was ‘severe’, but added that if the penalty helped him improve in the future it was a good thing.The crash marred a spectacular race won by Briton Jenson Button of McLaren who kept alive his own slim championship hopes with a consummate drive from pole position to the chequered flag. 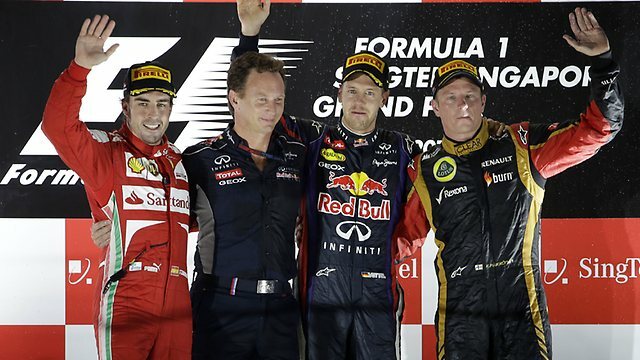 Button is now sixth in the title race with 101 points, trailing leader Spaniard Fernando Alonso of Ferrari by 63. Defending champion German Sebastian Vettel, who finished second on Sunday, is second with 140 ahead of Red Bull team-mate Australian Mark Webber, on 132, Finn Kimi Raikkonen of Lotus on 131 and Briton Lewis Hamilton of McLaren on 117. Grosjean, 26, will miss next weekend’s Italian Grand Prix after being the first driver to receive a ban since Finn Mika Hakkinen of McLaren at the 1994 German Grand Prix. Asked if he will learn from his experiences, Bouillier said: “I can only say yes, I hope so. Obviously the penalty is done to make people understand what they did. His over-aggressive change of direction at the start of the race saw Grosjean swerve right and into the McLaren of Briton Lewis Hamilton, forcing his car into a multiple collision involving championship leader Spaniard Fernando Alonso of Ferrari and the Saubers of Mexican Sergio Perez and Japanese Kamui Kobayashi. Kobayashi, after repairs, was the only driver who could continue in the race while Alonso, dazed and suffering back pains, climbed out after evading serious head injuries by a narrow margin when Grosjean’s Lotus car was launched over his Ferrari. The race stewards declared Grosjean’s involvement to represent a ‘serious’ breach of the regulations. It was the seventh time in 12 races this season that the Frenchman has been involved in an opening lap collision. He has previously been in incidents in Australia, Malaysia, Spain, Monaco, Britain and Germany. Boullier said: “He was not responsible for seven incidents. But, he was involved in seven incidents, which is different. “But obviously being in the wrong place is not good; and that means we have to keep working and talking, which is more talking I think, about the reason why he is in the wrong place. 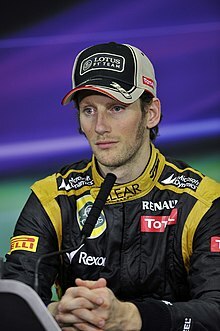 Grosjean said: “When you love racing this is very hard. I accept my mistake. “We know that La Source is a very tough corner. It was a bit of a crazy start as well with Maldonado leaving the grid so early and the Sauber of Kobayashi smoking a lot. “I did a mistake and I misjudged the gap with Lewis. I was sure I was in front of him. So a small mistake made a big incident. “I didn’t change my line, I went from left to right. I was not really wanting to put anyone in the wall – I’m not here to stop the race in the first corner. He added that he had been involved in too many incidents. He said: “I did too many. If there is more than one then that is too many, I agree. For yet another significant moment in Michael Schumacher’s career, the venue is ironically Spa-Francorchamps. To mark the German’s 300th Grand Prix weekend, the Mercedes driver has traded in his customary red helmet for a platinum design. Although Belgium 2012 will not mark Schumacher’s 300th Grand Prix start, it does confirm his 300th attendance as an entrant at an F1 race. Previously, only former team-mate Rubens Barrichello had hit such a figure after bypassing Ricardo Patrese’s 257. Other noteworthy Schumacher-Spa facts include his F1 debut for Jordan in 1991, a career-first win for Benetton in 1992, the collection of his seventh world title for Ferrari in 2004 and the 20th anniversary of his debut which was celebrated across last year’s race weekend. Qualifying in Belgium with Mercedes has never gone well for Schumacher, but he has more than delivered on the race days of 2010 and 2011; he stormed through the field on both occasions, to seventh and fifth places in the two respective seasons.